I originally shot this July 13th,2008. 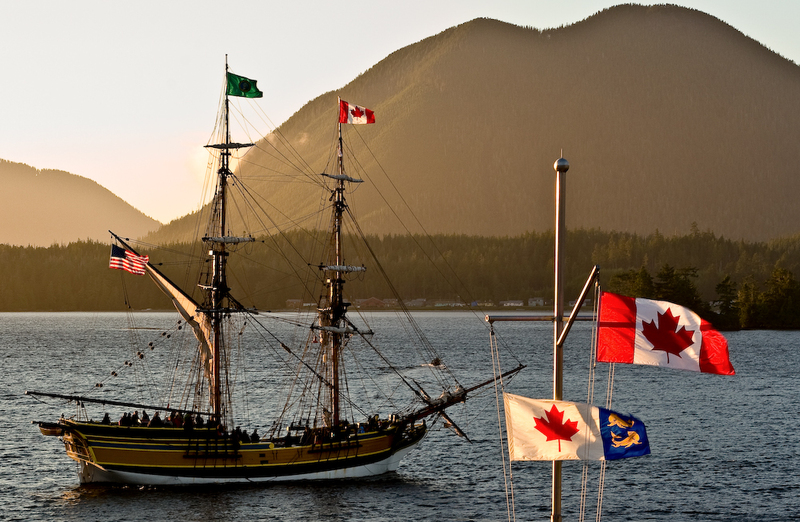 The Lady Washington was just entering Tofino’s harbour at sunset. She and the “Hawaiian Chieftain” were coming in for a three night stay! They come every three years to the west coast. They cancelled the return trip in July 2011. I do not know why but suspect it was because of financial concerns? If people are worried about their money…they do not spend. Which means a smaller market. Smaller markets means smaller profits. I think it was simple economics that scuttled the Lady’s visit last summer. It rained almost all day today & thats what It looks like for tomorrow as well. Wednesday looks better! I’m looking forward to getting out! First thing I’m going to do,is go visit the Lions! I want to see what they’ve been up to? I will have some new shots for you all soon enough! I’m expecting a call from Mother Nature shortly! It was raining all day today. So I didn’t get out. The photo opp looks piss poor for the coming week as well! I’m always hopeful for a small break in the light! I’ll have to be to be glued to the Satellite site! Fingers crossed? This is a eagle I call “The Daredevil”. He & his mate “Delilah” live down at Tsapee Narrows. He & Romeo are the only eagles that allow me to get close. Romeo lets me get close when he is on his rock. On the ground! Thats unusual! Wild eagles just do not allow that to happen. It’s taken me many years of visiting my eagle friends for them to trust me! 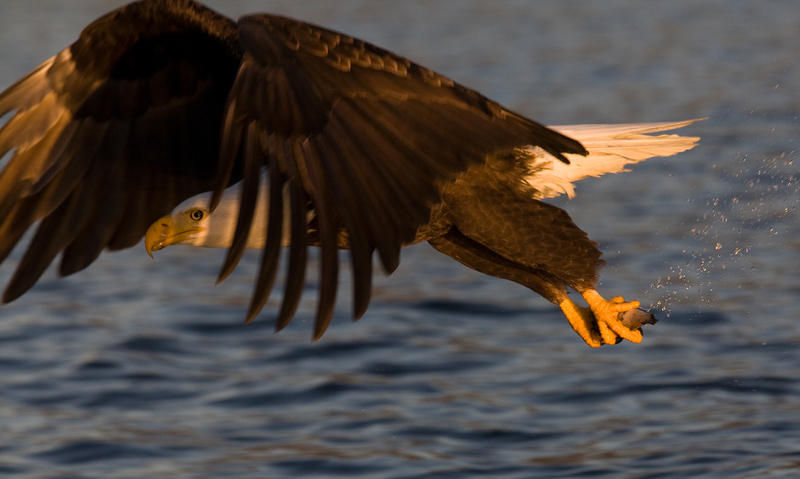 If I were to go near a eagle that I’ve never seen before, stop my boat,……it would take off! Which is a good thing! All animals should be fearful of other animals! Especially Homo-Sapiens! It was too cloudy today,so I didn’t take a single shot. This is from yesterdays shoot. When the light gets low,the only shots I can take, are silhouettes! Eagles at sunset are one of my favorites! Can never have enough eagle shots! I finally was able to get out today! 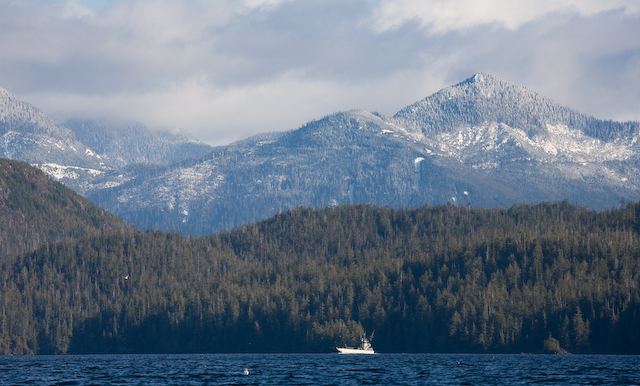 The Winters in Tofino can be a hard place to be if your a lover of the “Great Outdoors”! It looks like only one day this week at best too! I went down to Cannery to visit with the Lions. The tide was high so I couldn’t find any of them in their normal spots! They were on & by the float! Also on what I am calling “Kenfalls Point”. It’s a point of land near a creek called “Kenfalls”. He told me that the only other known spot where the Lions haul out into the forest was up in Alaska! 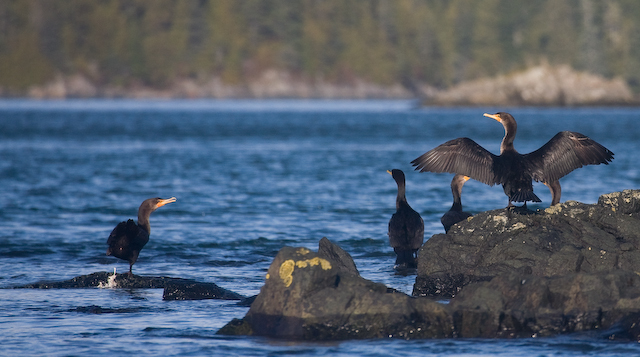 I went around the point to see if they were inside the forest and a few were,but mostly around the shore. I suspect that when their numbers increase & space becomes a premium,that there will be more of them on the inside. Once again I think their numbers are less than what they should be or at least what I’m use to. I have no idea why? They may be further down the Inlet hauled out somewhere? I am going to have to take extra fuel & go check this out! On the positive side,the float inside Cannery is in the light finally! The earth’s axis is moving enough to the south that the sun is now higher than that mountain to the SW. It has been blocking the sun all Winter! The wind started kicking up,so I figured I better head back. The Inlet was capping from the NW winds,so I went to the north side of the Inlet where the wind lee was. On the way back I visited with the Daredevil/Delilah at Tsapee Narrows,as well as Moe/Maggie & Romeo/Juliette. They all seemed to be in good spirits. Romeo & Juliette were concerned about a neighbor getting too close to their territory however. I was lucky enough to capture the moment they both took off to intercept said Intruder! Many fishing boats were coming back into the harbour at sunset. The Geo-Duck opening must still be happening. I didn’t get as much as I hoped,but it was still a great day to be out! This is always a favorite angle for me! 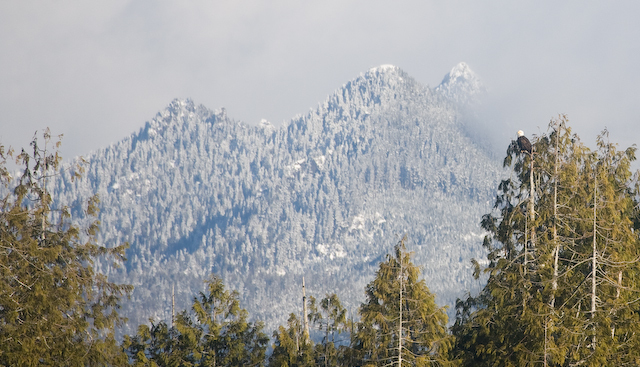 During the winter,Strathcona looks majestic with all that fresh snow! These birds always fly low & fast. 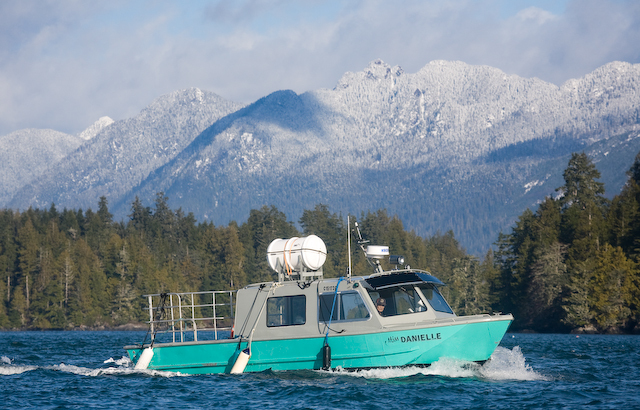 The Harvest King is a cargo boat for Creative Salmon. A local Fish farm company. The boat was coming from Indian Bay & going over to the Warne Island farm. This shot shows how expansive the inlet actually is. Tofino Inlet goes several miles further down to Deer Bay.